Andrew Shen has successfully represented plaintiffs and defendants at the trial and appellate levels in a wide array of matters, including breach of contract, securities, antitrust, health care, fraud, telecommunications, and whistleblower litigation. He also has substantial experience representing clients in regulatory investigations involving the Department of Justice and the Securities and Exchange Commission. Mr. Shen’s clients include Fortune 200 companies, whistleblowers, institutional investors, and the first federal financial institutions regulator to recover losses from the sale of faulty residential mortgage-backed securities. To date, Mr. Shen has recovered more than $6 billion for his clients, and successfully defended clients against similarly large damages claims. Mr. Shen joined the firm after completing a clerkship with Judge Dolores K. Sloviter on the United States Court of Appeals for the Third Circuit. He earned his J.D. from Columbia Law School, where he was a Senior Editor of the Columbia Law Review and a James Kent Scholar, and his B.A. from Cornell University. 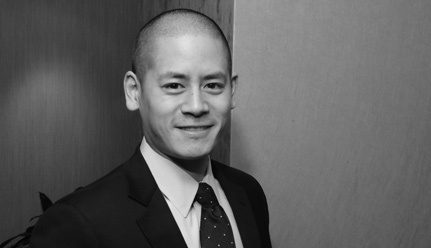 Mr. Shen was named by Benchmark Litigation to its inaugural Under 40 Hot List. He has also been named a “Rising Star” by Super Lawyers for both general litigation and securities litigation. National Credit Union Administration – Represented the National Credit Union Administration as liquidating agent in a series of lawsuits against 18 financial institutions regarding the sale of residential mortgage-backed securities. More than $5.1 billion has been recovered. CUNA Mutual Group – Represented an insurance company in a series of lawsuits regarding the sale of residential mortgage-backed securities. Bank of New York Mellon Forex Foreign Exchange Transactions Litigation – Defended the Bank of New York Mellon in litigation and investigations challenging foreign exchange services provided to customers. Obtained voluntary dismissals of all Securities Act claims. United States ex. rel. Westmoreland v. Amgen Inc., et al. - Represented a whistleblower in a False Claims Act action against a drug manufacturer and Group Purchasing Organization. This matter was litigated in both the United State District Court for the District of Massachusetts and the United States Court of Appeals for the First Circuit. On the eve of trial, a global settlement was reached with defendants for $750 million. Louisiana Pacific Corporation v. Money Market 1 Institutional Investment Dealer - Prosecuted federal and state securities law claims as well as common law claims brought by an institutional investor against an investment bank and investment broker, arising from the purchase of structured finance securities with an auction rate securities pricing mechanism. The Anschutz Corporation v. Merrill Lynch & Co. - Prosecuted federal and state securities law claims as well as common law tort claims brought by an institutional investor against an investment bank and two rating agencies arising from the purchase of structured finance securities with an auction rate securities pricing mechanism. In re Guidant Corp. Implantable Defibrillators Products Liability Litigation - Represented plaintiffs in a medical device products liability litigation. Defendant settled this matter for $240 million. Global NAPs, Inc. v. Verizon New England Inc. - Represented Verizon in breach of contract action against competitive local exchange carrier to enforce terms of an Interconnection Agreement.